Ah, the 1950s…a time for milkshakes, the quintessential American housewife and a wave of new, flashy cars. Making its debut in 1952, the Ford Customline was marketed as Ford’s “MIRACLE RIDE” with “LIFEGUARD SAFETY” and powerful V8 engines that offered “TRIGGER TORQUE.” Considered a mid-level option between the Ford Mainline and the Ford Crestline, it targeted customers who could afford to “take a step up”. 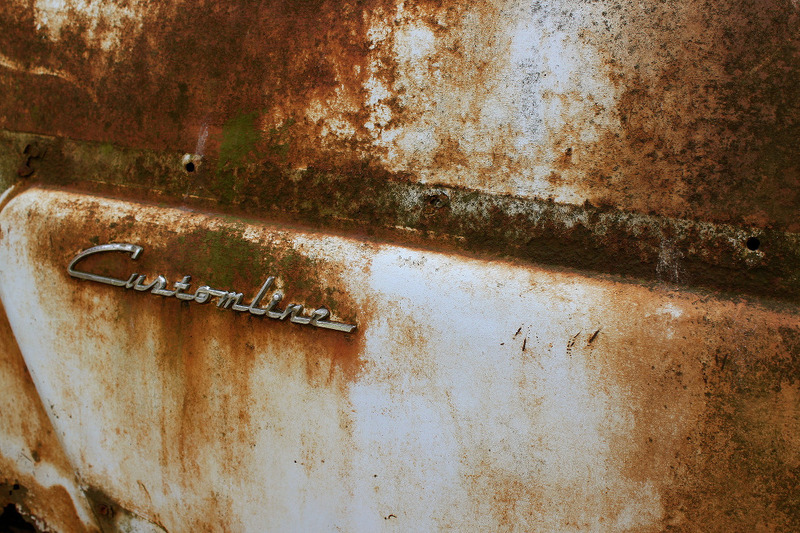 While primarily made in America, the Customline also had success in Australia. No matter the location, drivers and passengers alike were excited by its V8 engine (which was brand new to the industry at the time), the colors it came in (both single and two-tone options were available) and its power-everything: brakes, steering and front seats. How big was it, how fast did it go, you ask? Measuring 197.8 inches long x 73.9 inches wide on average, the Customline is within inches of today’s Focus, albeit with less than half the horsepower, and like today’s Fusion, it faced fierce competition from the likes of Chevrolet, Buick and Dodge. The model pictured we believe is a 1954 coupe, based on other (a.k.a more well-kept) versions out there. If you’re interested in buying one, or already own one and are interested in selling, their average value today is about $13K, ranging from the low thousands to low twenty thousands depending on its condition.